For more than 50 years Goodwill of the Coastal Empire has given thousands of people the training and employment skills needed to obtain self-sufficiency in the areas of retail and facility services and manufacturing. On Tuesday Goodwill, along with the Georgia Manufacturing Alliance gave the group’s members a look into their manufacturing division at the G-Force Aerospace Technologies Plant in Pooler. The plant, which has twice been named Gulfstream Small Business Provider of the Year, provides thermal and sound dampening blankets, tubular sub-assemblies, floorboard sub-assemblies, leather sub-assemblies and compression molded composite parts used in Gulfstream jets. 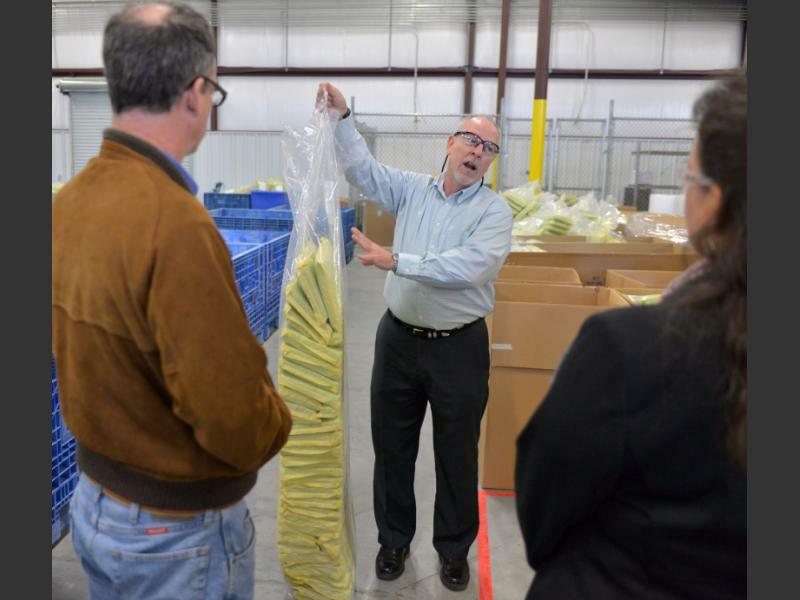 Goodwill’s G-Force division has been in operation for about 25 years and currently employs about 45 people, who have found work there through Goodwill’s outreach. “What I love about G-Force is that it really gives back to the community,” said Jason Moss, CEO of the GMA. Moss also praised Goodwill for its efforts to teach workers soft skills needed for employment such as showing up on time, maintaining positive attitudes and demonstrating proper communication and social skills. In his travels across the state, Moss said the need for employees with basic soft skills is a common concern for manufacturers. “What they teach here is something that is needed statewide. I’m really impressed with what I’ve seen so far and the team that they have here,” he said. In 2016 Goodwill placed more than 1,100 people into employment opportunities and helped more than 6,800 others find work through the organization’s job connection centers and referral services, but no matter where a person ends up, Goodwill’s vice president of community engagement Cynthia Barnes said the organization’s goal remains the same. “…To the individuals that work for us we want them to achieve their highest level of self-sustainability, their highest goals,” Barnes said, adding that at Goodwill, employee turn over is seen as a positive change.